Cracks in plastic. Are white IPhones 3G's bad? 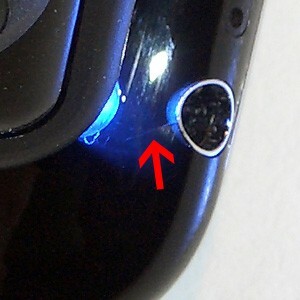 A number of iPhone 3G owners are reporting the appearance of hairline cracks in the plastic finish of the phone. 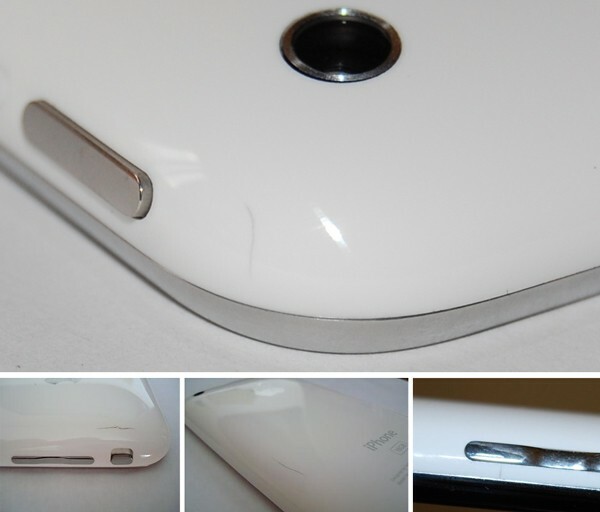 According to threads on Mac Rumors forums and Apple’s Discussion Boards, the cracks appear to be manifesting mostly in the white 16GB version of the phone; however, Engadget notes this may be due to the fact that the cracks are easier to see in the white model than the black (see photo below). Importantly, iPhone owners experiencing the issue report that the cracks appear without the device being dropped, sat on, or misused in any way. It is unclear what might be causing the problem, or how widespread the issue is. The big winners in Apple's new online App Store are gamemakers, who dominated sales in the week since the new iPhone 3G hit stores. Seven of the top 10 paid applications, including the top five, were video games, led by Sega's Super Monkey Ball, a rolling racing game. Even among the free iPhone and iPod Touch applications, which include popular social networking sites like Facebook and the Internet radio service Pandora, the top title is Tap Tap Revenge, a rhythm game similar to Guitar Hero. DevTeam posted a new interesting screenshot. They successfully downgraded modem firmware. This is not an unlock (yet), but it is a good illustration of the first progress made with regard to hacking the 3G baseband. They accomplished this by being able to execute their own code on the baseband that allows to circumvent security checks and flash the baseband with older, disallowed firmware. Please note this has been accomplished using software only, the iPhone 3G has not been disassembled or hardware modified in any way. 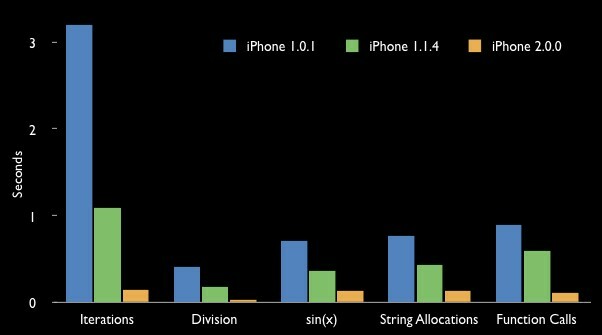 Apple is already providing developers with a new iPhone firmware beta with enhanced location-finding that could lead to true navigation as well as the roots for background push services. The one of new features is update to core Location - it can now recognize the cardinal direction of an iPhone with GPS as well as its velocity, both of which are ingredients necessary to providing turn-by-turn directions. The additions confirm statements recently by Apple's Greg Joswiak, who rejected earlier claims that iPhone 3G's GPS antenna wasn't powerful enough to handle navigation and in turn explained that "complicated issues" are holding the device back from serving as a true navigation unit. Apple is also implementing a rough version of its background push notification service in the 2.1 firmware. Announced at the Worldwide Developers Conference, the feature lets third-party native programs receive data such as alerts or new messages without actively running. The measure saves processing power without interrupting some apps that depend on constant access to the Internet. The inclusion of this early version of the code alludes to the 2.1 update becoming public at the same time as the push notification service itself, which is tentatively due for September. In the meantime, Apple and its US partner AT&T are known to be testing iPhone 2.0.1, a maintenance release that likely fixes some of the outstanding bugs with the initial 2.0 release. BossPrefs is a very popular allpication. Now there is BossPrefs v2.0.2a that works with 2.0 fimware. It can be installed via Cydia Installer. This is the first working version for 2.0 devices. There will be some issues but the major stuff should work. The airplane / phone toggles are not implemented, the add plugin GUI is not implemented, and there may be some other minor issues. The bulk of it works. Update will be very soon, but we can use this version right now. Thanks to Dev Team and the porting work of Jay Freeman as well as the authors of 3Proxy, it is now possible to "tether" your iPhone 3G and use its Internet connection on your laptop. Warning - Tethering your iPhone is against the iPhone data plan terms. AT&T could slap you with huge fees if you overuse this. I recommend only using it during emergencies. Later we'll discuss it with more details. 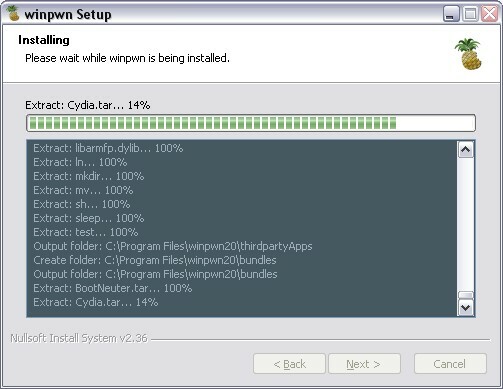 After successfull jailbreake of the IPhone/IPhone 3G with firmware 2.0 it is possible to install Cydia installer. And what is more exciting, there are many applications there, including Java. 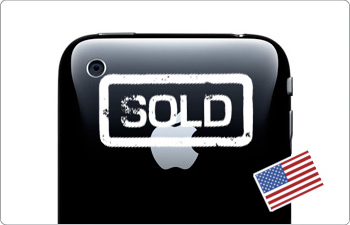 How much is the IPhone 3G in Russia? Russian newspaper Vedomosti investigated how much the new IPhone 3G costs in Russia, country where users cannot buy IPhone officially. The results are impressive. Several russian web sites offer IPhone 3G 8Gb for $1200. 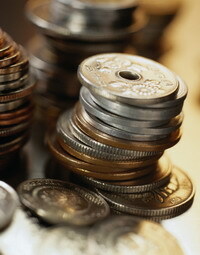 Rumors say that In Moscow it is possible to find one foe $775, but it is not easy. However $1200 is not the limit at all. In some big shopping center in Moscow one can buy IPhone 3G for $3449. Some analysts report, that there are about 400,000 IPhones in Russia. Every month this number increases by approximately 33,000. Works with the new iPhone 3G! 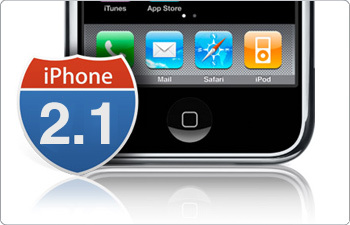 Now older IPhone users users can upgrade to firmware 2.0 and IPhone 3G users have a possibility to have jailbreaked IPhones. That is because PwnageTool 2.0 is released today. Download links are: mirror1, mirror2, mirror3. Just a reminder: this tool jailbreaks and unlocks older iPhones, and jailbreaks iPhone 3Gs and iPod Touches. 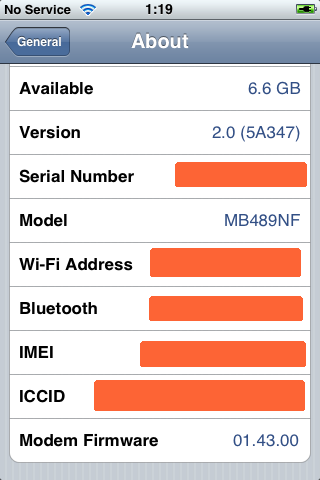 No unlock for Iphone 3G yet. The supported firmware is 2.0 only. Platform is Mac OS. 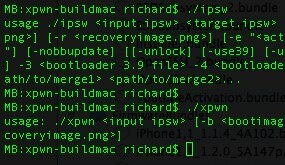 If you get Error 1600 from iTunes (or if you see in your log a failure to repare x12220000_4_Recovery.ipsw), try: mkdir “~/Library/iTunes/Device Support” ; if that directory already exists, remove any files in it. Then re-run PwnageTool.